Dr. Bowermaster has completed Advanced Training in BotoxCosmetic, Juvederm and Voluma. Dr. Bowermaster is the leading injector in Eastern Ohio region, is one of the few aesthetic doctors nationwide to complete the selective and prestigious DeMaio Master Injection Course and is among the top 7% injectors nationwide. He is also a Certified Thermage Thermacool provider, and trained in the latest chemical peels and other facial skin-rejuvenating procedures. Call Us! We can customize the perfect skin solution for you. 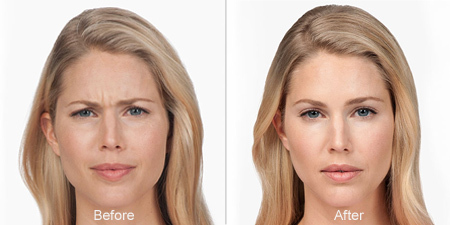 BOTOX® Cosmetic has a record of experience that aesthetic providers know and trust. And, the safety and efficacy ofBOTOX® Cosmetic have been evaluated in both Allergan sponsored clinical trials as well as in 417 peer-reviewed articles in scientific and medical journals. Over time, your skin loses elasticity and moisture, which contributes to moderate to severe parentheses lines and wrinkles around the nose and mouth. While serums and creams can help moisturize the skin’s surface, JUVÉDERM® XC adds volume to smooth these lines and folds, to help give you the natural-looking, long-lasting results you want. JUVÉDERM® is the #1 selling collection of hyaluronic acid fillers in the US. JUVÉDERM® VOLBELLA® is an injectable filler based on hyaluronic acid (HA) that provides a desirable improvement in the lip contour, boosting volume, smoothing vertical creases (smoker’s lines), and achieving symmetry – all in a single comfortable treatment. 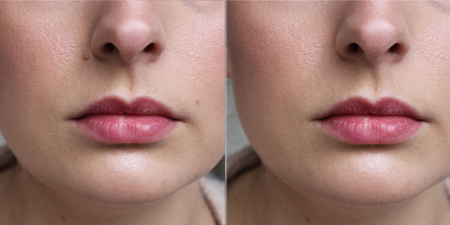 JUVÉDERM® VOLBELLA® lip injections are recommended for smoother, softer consistency that mimics the natural feel of your lips for a longer time. 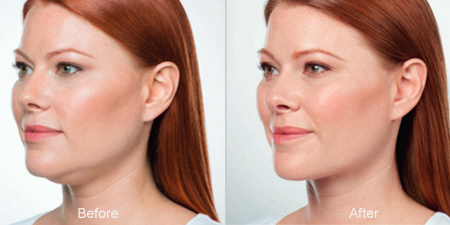 Lift and Contour Cheeks. 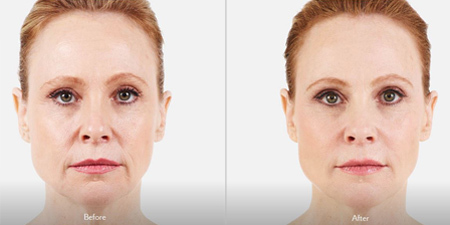 Wrinkles and lines aren’t the only signs of aging. Over time, the cheeks flatten and the skin may begin to sag. This is caused by a natural loss of volume in the cheek area, or what the experts call age-related mid-face volume loss. 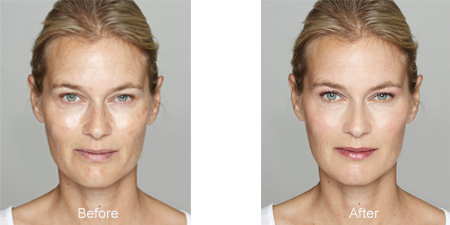 As an expert injector of Voluma, Dr. Bowermaster will give new life to your cheeks and eyes!! Get your Chin Up!! Kybella® is the first and only FDA-approved injectable treatment that contours and improves the appearance of the “double chin” caused by unwanted fat (subcutaneous fat). Treatment with Kybella is customized to address each patient’s unique aesthetic goals for an improved chin profile. Typically, two to four treatments, approximately one month apart, are needed to achieve the ideal result. READ MORE ABOUT HOW KYBELLA WORKS HERE. 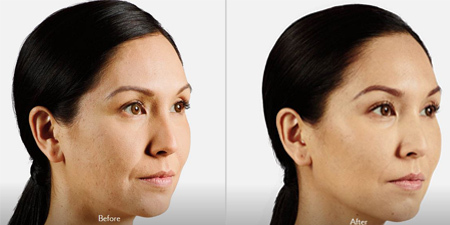 Imagine taking 10-15 years off your face in one day, and with minimal downtime or discomfort! With over 35 years of experience in facial surgery, Dr. Bowermaster uses the latest injectibles to perform a one of a facial facial lift. The Smart Lift just make sense! Call to schedule your complimentary consultation today. Facial veins, moles and skin tags are removed by Dr. Bowermaster using non-invasive Ellman Radiosurg, which is gentle and has minimal down-time. Using radio-frequency waves, veins are treated, and moles or skin tags are removed without stitches, leaving minimal or no scarring.